Idyllically situated on a sunny corner, Two Birds Gallery Café is a sprawling establishment that takes upon its shoulder the task of showing travellers as well as locals that small towns can match brunch spots in the big cities. 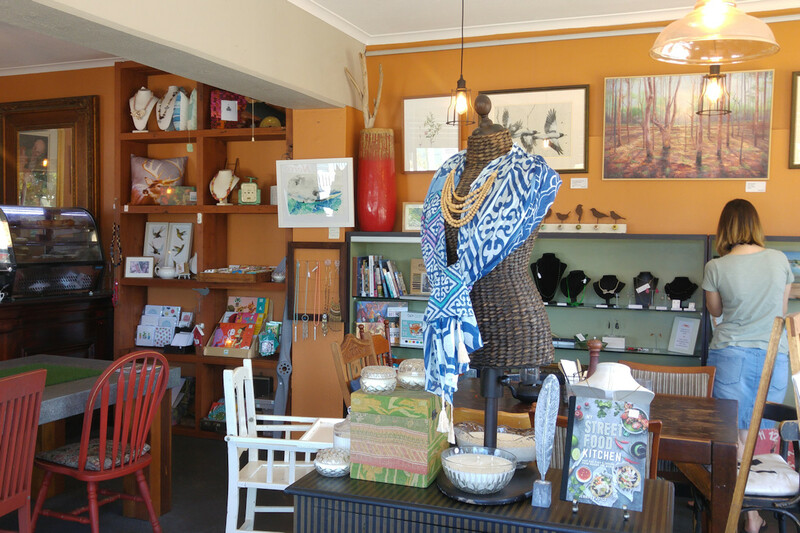 The eclectic mix of clothing, accessories, art and jewellery offers plenty to browse while you wait for your meal. It’s a popular spot on weekends but because of the large number of tables, you won’t have a difficult time finding a seat. A superb banana smoothie ($7.50) if I do say so myself. The consistency was spot on and the cinnamon was a nice touch. It’s also available as mixed berry. 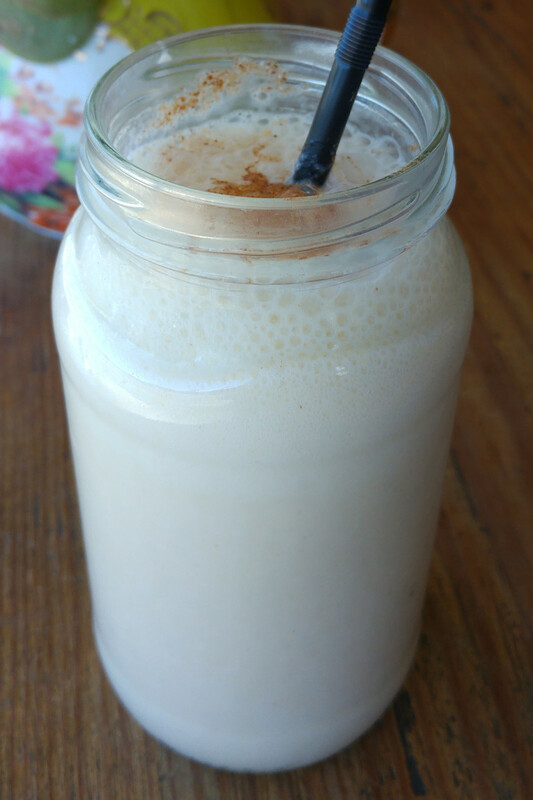 Other drinks on the menu include coffee ($4), tea by T2 ($4.50) and milkshakes ($5.50). The plates here are big so bring your appetite! The mind boggles what kind of parrot this dish resembles but both my guest and I loved the flavours. 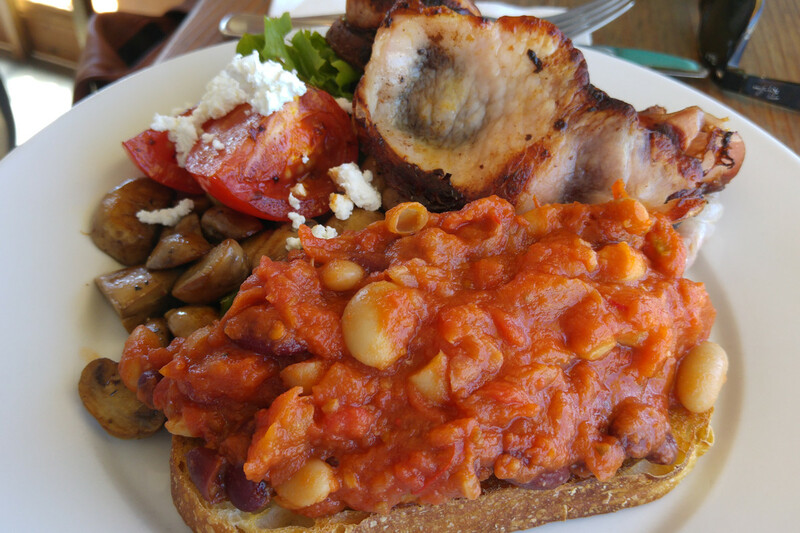 The parrot ($15) is comprised of house made beans, mushrooms and grilled tomato with Danish feta and mixed greens. The beans themselves were the hero with a rich, smokey tomato sauce. They also didn’t have the bejesus cooked out of them! More praise for the sauteed mushrooms with light seasoning. My guest added bacon for $4.50. It was requested crispy and that’s just what arrived (the picture is slightly deceiving). Another dish that some would find daunting because of its size but I took to it with relish. The Blue Jay ($16) is TBGC’s corn fritter offering. These were actually some of the best I’ve ever had. While there wasn’t an overabundance of corn, the crispy exterior and melting-away potato inside were heavenly. They were topped with plenty of aioli and sweet chilli glaze which complemented the potato to a tee. 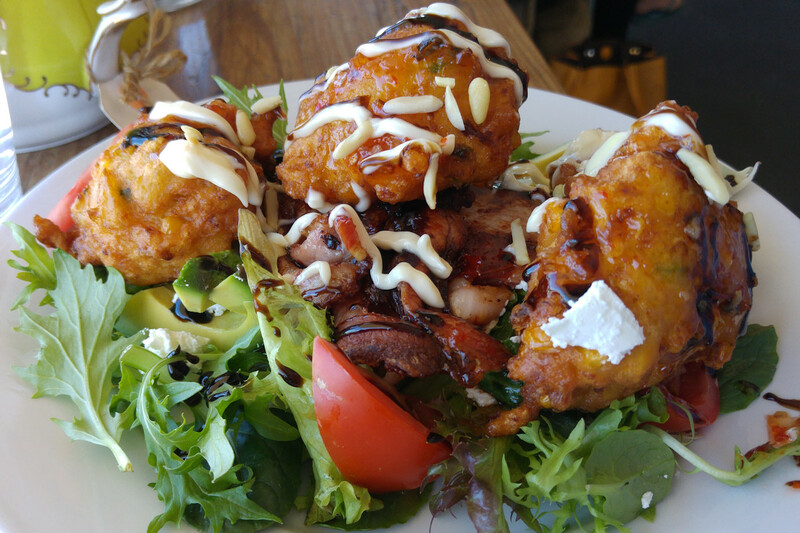 The fritters were served on a bed of green leaves with some tomato, avocado and Danish feta for good measure. I added bacon for $4.50 which once again was served crispy and integrated into the dish. Absolutely stunning. It’s not a massive menu but it has variety. You’ll also find the salmon sourdough (a slice of toasted sourdough topped with avocado, greens, smoked salmon and a wedge of lemon, $12), hens scramble (3 scrambled eggs, mixed greens and grilled tomato served with sourdough toast and bacon) and the brekky wrap (fresh wrap with two eggs, bacon, greens, cheese, fresh tomato, aioli and BBQ sauce, $14). 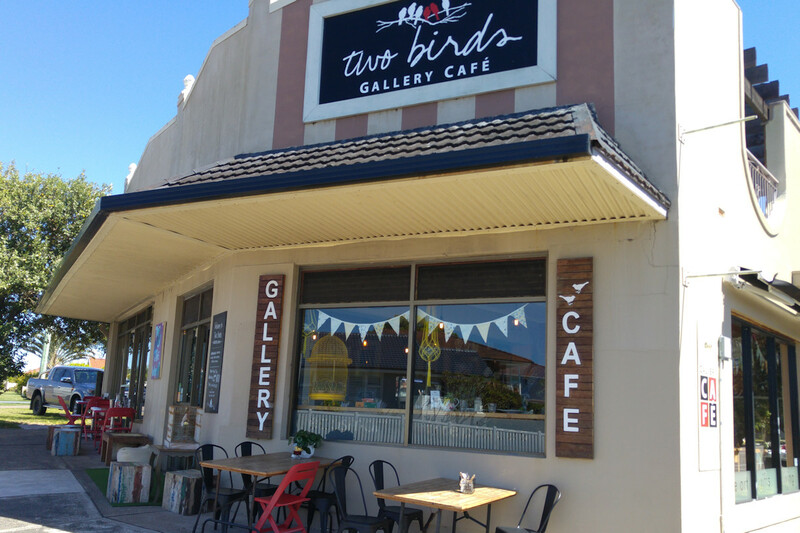 Whether you’re passing through The Entrance or live in the area, it’s obvious that you should do yourself a favour and drop in to Two Birds Gallery Café. The friendly service and competent kitchen really do make this a shining beacon on the Central Coast of NSW. This entry was posted in Regional New South Wales and tagged Disabled access, Dog friendly, Free range eggs, Outdoor seating, Parking close by, Reasonable prices. Bookmark the permalink.